Auto Pliers 10.0"/250mm OAL. Adjustable jaws 2.0" round / 50mm Hex. This combo is amazing. If I’m honest I was a bit hesitant to buy the auto adjust pliers as I didn’t think they’d be as solid as a manually adjust pliers but these tools are awesome. They’re built well and seem like they’re built to last. I compared them to my knipex cobras and they hold up pretty well in comparison for a lot cheaper. The pliers wrench is awesome too and a very solid tool! I may buy more in the future. 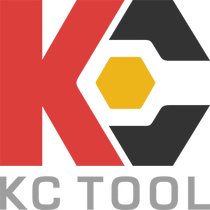 If I do I’ll be using KC tool. It was a great experience from order to delivery. The day after I received these pliers I was faced with the task of changing out the garden hose valve on the side of my house. With just one pair of these pliers I was able to handle all of the sizes and shapes of fittings to remove the old and install the new faucet. Excellent useful and versatile tool!